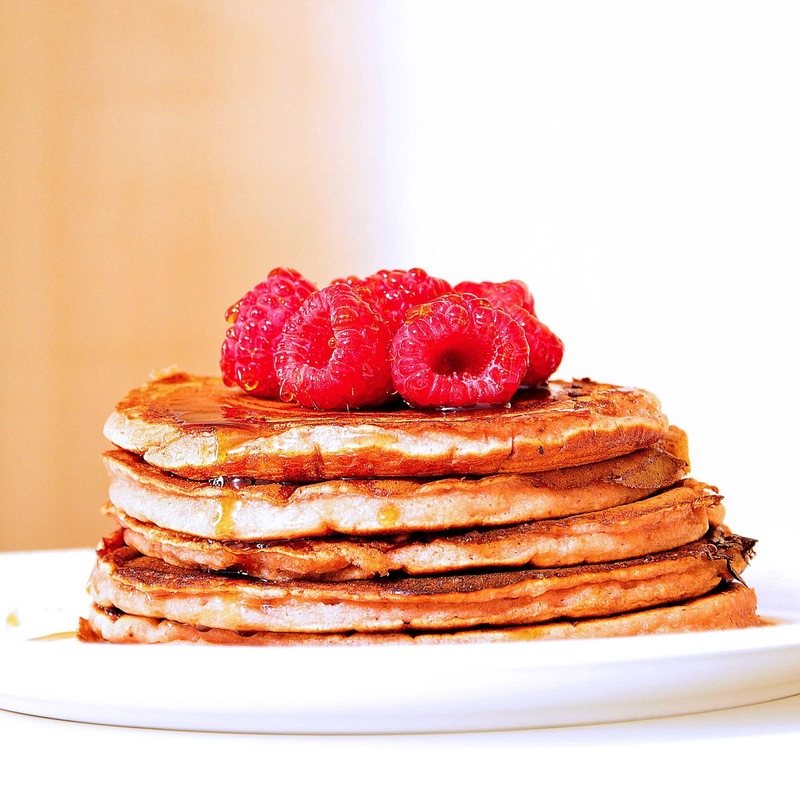 For simple hassle free breakfasts, pancakes are the clear winners. They are quick to prepare and in fact all it needs is to prepare a batter and cook them on a frying pan. You can check out my basic pancake recipe from my previous post. 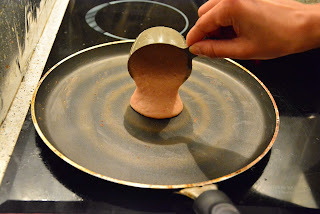 Albeit their simplicity, pancakes are also the ideal items where one can innovate. 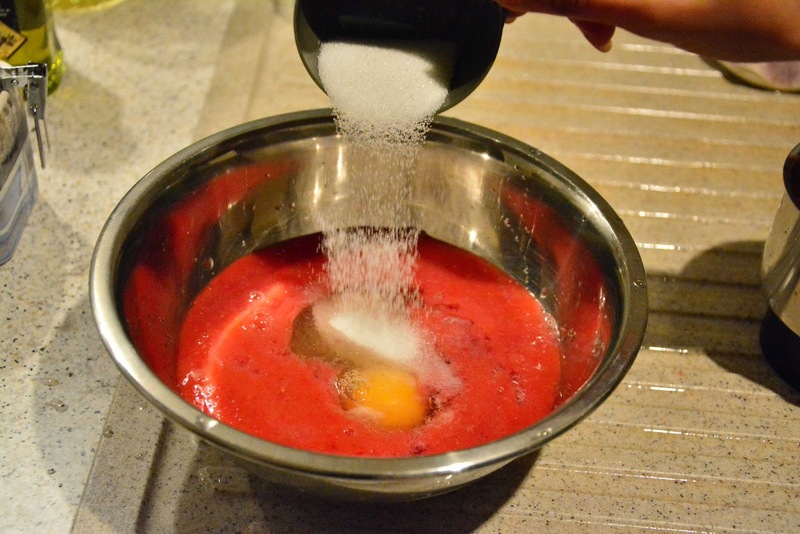 They are indeed versatile and can be prepared in numerous ways just by changing the batter. 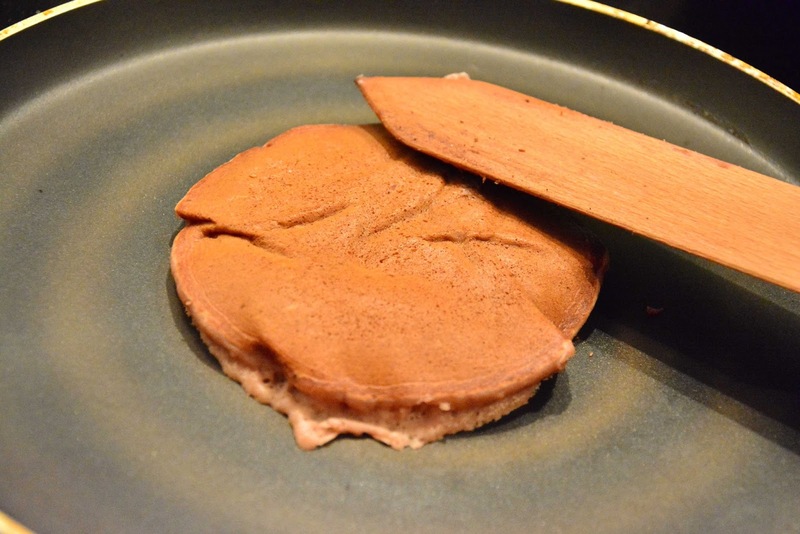 This time I came up with a healthy pancake, though I must say I never heard of unhealthy ones. 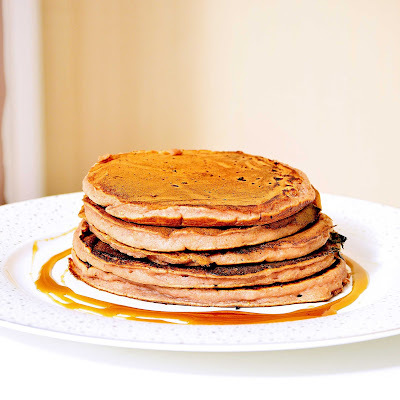 But these pancakes are special because they do not need oil nor have butter in them and so (yes you got it right), these pancakes cut down immensely on the unsaturated fat. 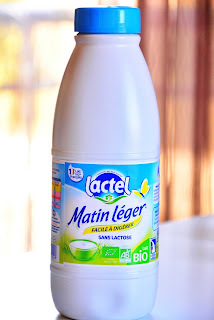 But I came up with this recipe primarily for those lactose intolerant people (like me) who would love to taste sweet desserts but unable to digest the lactose in them. 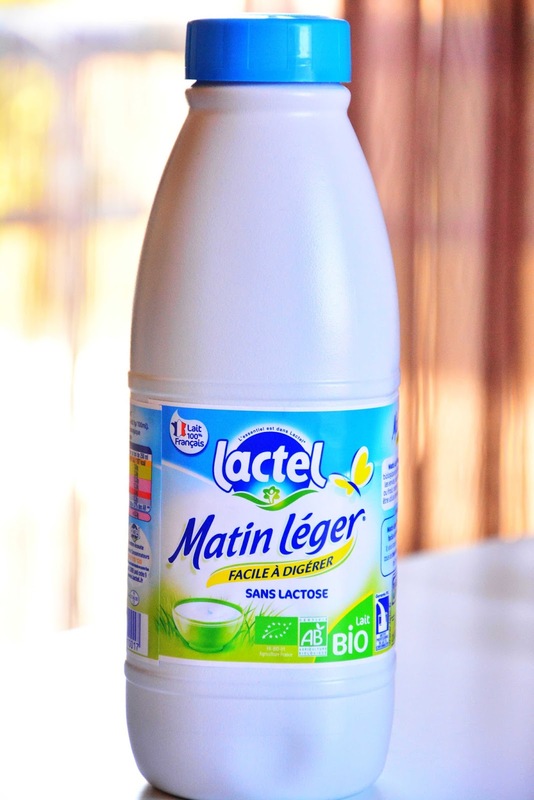 Lactose-free milk is available in France (check their website) and it is prepared by breaking up chemically the lactose molecules of milk. I believe such products are also available elsewhere. In addition I have completely removed the butter that is a usual ingredient in pancakes. 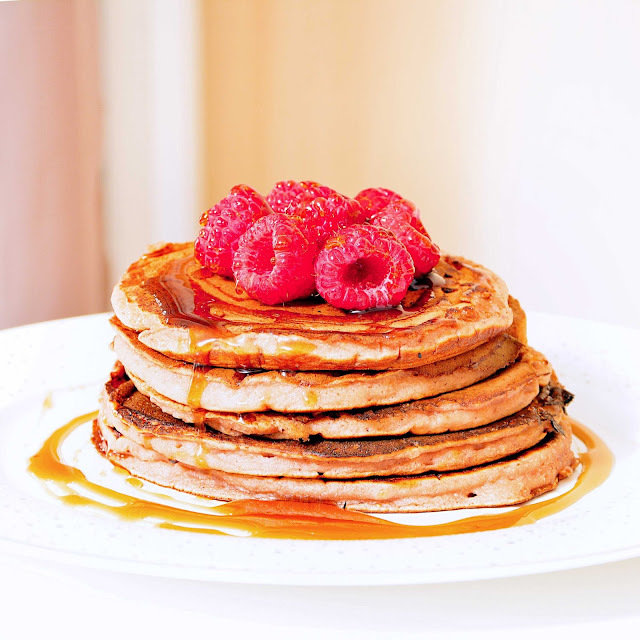 Now to add even more twist, this recipe is about lactose-free strawberry pancakes. 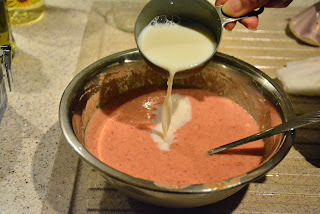 Generally it is not very common to add strawberry in the batter probably because it does not help to bind properly. However using the ingredients in correct proportions and order can help to make perfect well bound pancakes which are deliciously attractive and has the strawberry flavor in each and every bite. So here is the recipe for lactose-free strawberry pancakes. Crush the strawberries into a smooth paste. 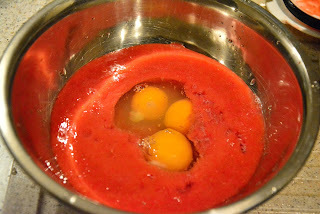 Add the eggs (There are actually two eggs in the picture, one of them had twins, that is it had 2 yolks). Whisk well with a fork. Add the almond meal and whisk. 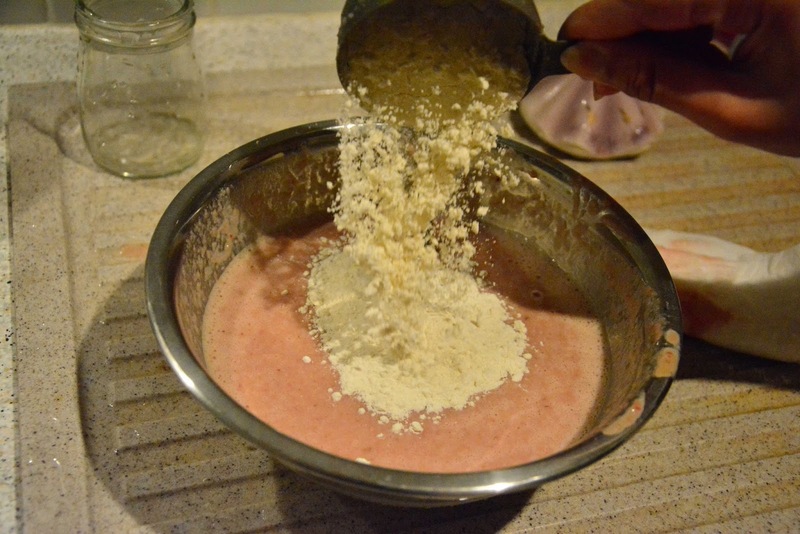 Add the flour and baking powder and whisk so that no lumps remain. 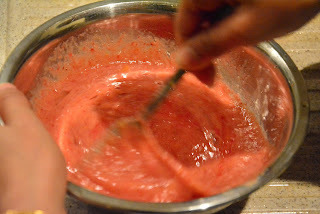 Rest the batter for about 15 minutes. This will help the gluten in the flour form long protein chains and bind the batter nicely (see this recipe for the same). Heat a non-stick (Teflon coated) pan. 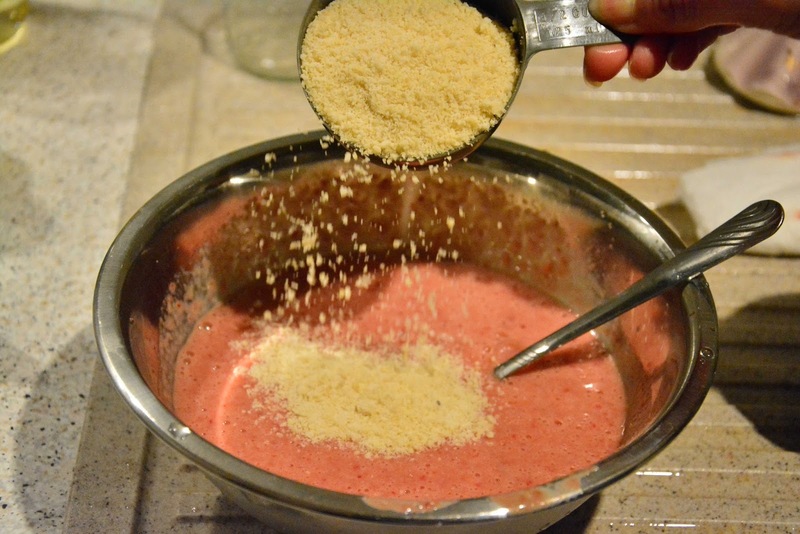 Pour about 1/2 cup of batter on it. When small bubbles appear on the sides and the surface (see the picture) then it is time to turn the sides. 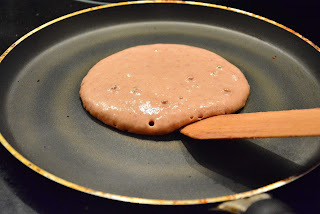 Insert a pointed spatula underneath slowly to separate the sides of the pancake and then flip it over. 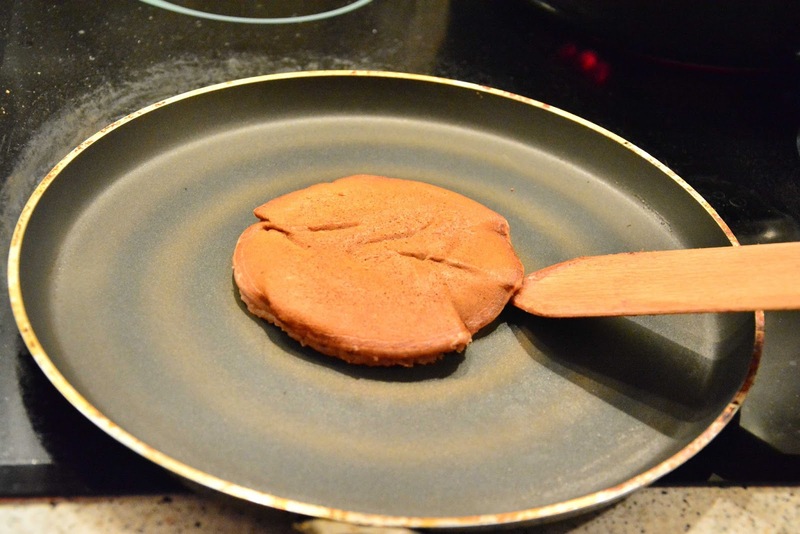 Press lightly on the pancake and cook for about a minute. Remove them and stack one on top of the other. I garnished them with raspberries and organic mountain honey. 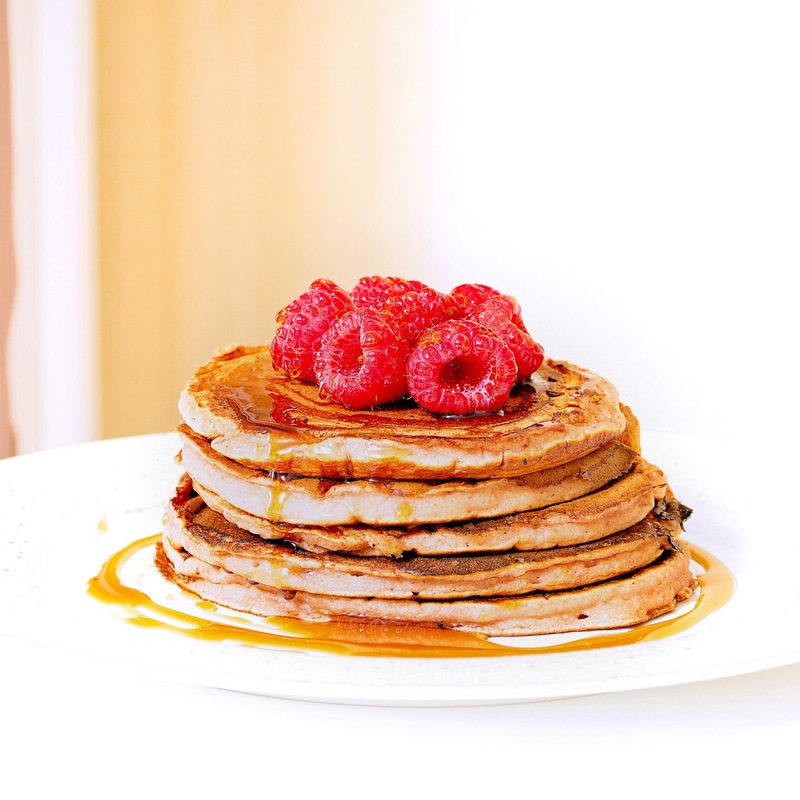 Lactose free healthy pancakes made with crushed strawberries. 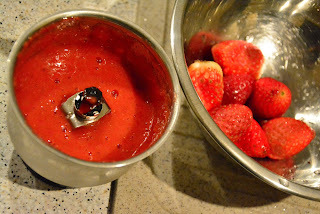 Quick and easy to make but yummily delicious. Add the eggs, salt and sugar and whisk well with a fork. Add the almond meal, milk, flour and baking powder and whisk so that no lumps remain. Heat a non-stick (Tefal coating) pan. Pour about 1/2 cup of batter on it. When small bubbles appear on the sides and the surface change the sides. Press lightly on the pancake and cook for about a minute. Remove them and stack one on top of the other. I love the idea of strawberries IN the pancakes. 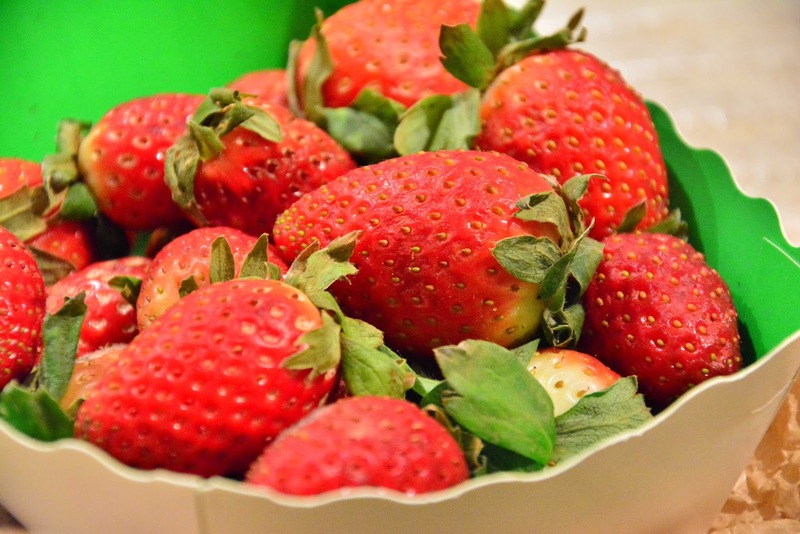 Florida berries are scrumptious right now---it's the perfect time to jazz up my breakfast! Thank you Liz. Bon Appétit.